BUFFALO, NY – The long-delayed opening of a new downtown brewery has led to the business suing the building owner and project developer. According to a legal complaint filed in State Supreme Court in Erie County in late December 2018, Jamestown Brewing Co., Inc. (JBC) is the plaintiff in a case against GPatti Enterprises, LLC, (GPatti) the defendant. JBC is suing for breach of contract, negligent misrepresentation, and fraud. The complaint was filed by JBC legal counsel Hodgson Russ LLP, based out of Buffalo. JBC is based out of Buffalo and is being operated by the father-son duo John McLellan Sr. and John McLellan Jr. GPatti is owned and operated by Jamestown-area resident George Patti. Because the McLellan’s business is based out of Buffalo, the complaint was filed in State Supreme Court in Erie County rather than Chautauqua County. As part of its complaint, JBC says it entered into a lease agreement with GPatti without being fully informed of environmental issues that could have delayed its opening. It also claims GPatti breached its contract by failing to meet the original construction schedule and performing work as required under the lease. In August 2017 JBC entered into a lease contract with GPatti and moved forward with an initial plan of opening in April 2018. GPatti purchased the former Lillian V. Ney Renaissance Center on the corner of W. Third and Washington Streets from the Gebbie Foundation in December 2017 for $330,000 as part of its plan to redevelop the property for JBC. The purchase took place after the brewery project was awarded $830,000 from the $10 million Downtown Revitalization Initiative (DRI) Grant (announced in the spring of 2017). As part of its business plan and in coordination with the timeline provided by GPatti, JBC purchased and stored long lead items for the brewery and also hired employees in preparation for the installation of the brewing equipment and the pending grand opening. 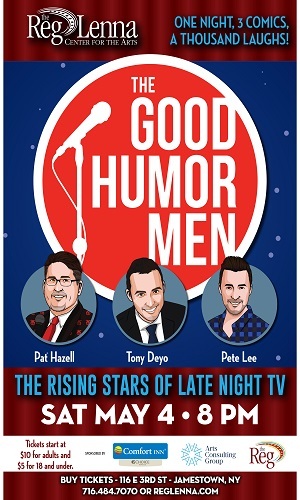 The JBC Grand Opening was intended to take place in advance of the opening of the National Comedy Center in August 2018. However, the April opening did not occur and in June, GPatti presented an updated timeline that said work would be completed by October 2018. Once October arrived, the completion date was pushed back another month and again another month until it eventually was pushed back to mid January 2019. At that time the lawsuit was filed. The recurring delays in the development timeline were reportedly due to environmental remediation required by the state due to the property being located at a former dry cleaning facility, as well as asbestos abatement that had to take place. According to the legal complaint filed by JBC, GPatti had attributed the delays to a Phase II environmental study from the Department of Environmental Conservation from the fall of 2017. Because a Phase II study only occurs after a Phase I study has been done and indicates that there is a potential problem, JBC says it appears that the Phase I strudy was done before the lease was signed, but they were not informed of the results of the Phase I study prior to signing the lease. JBC also feels GPatti was aware of the environmental issues in advance of the 2017 Phase II or Phase I study because the Gebbie Foundation had a Phase II study done in 2007 when it owned the building. At that time the Jamestown Renaissance Corporation (JRC) was a tenant in the Lease Premises. JBC believes GPatti knew of the Gebbie Foundations’ 2007 Phase II study before the lease was signed because an executive who worked for JRC at the time of the 2007 study began working for GPatti prior to August 2017. “If JBC had been made aware of the environmental issues in a timely fashion, it would not have entered into the lease agreement with GPatti,” the lawsuit contends. JBC also states that its principles and employees quit their jobs in anticipation of the original April 2018 grand opening date and the principles contributed significant personal funds to bridge the period of time between the original grand opening date and the new anticipated opening dates, and the company has incurred carrying costs including bank loan repayments and insurance. JBC received several loans and funding grants in order to get the operation off the ground. As a result of the delays in opening, all lending sources – both public and private – made an effort to restructure their respective loans to accommodate the McLellans and ensure they have enough startup capital for the business once it finally opens. But the delays in loan repayments have lead to additional interest being added until the loans can be fully repaid. As part of its claim, JBC says it has suffered damages of at least $1,000,000 and is also seeking compensatory damages, interest, attorney’s fees, and costs as a result of the alleged breaches by GPatti. Also, As part of its lawsuit, JBC claims that even though GPatti has received DRI funds that were earmarked for the brewery project and it is a joint beneficiary of those DRI funds, GPatti has not identified the DRI funds it has received, nor identified what those funds have been spent despite numerious requests. As a result, JBC is requesting GPatti be compelled to account for the DRI funds and their expenditure. 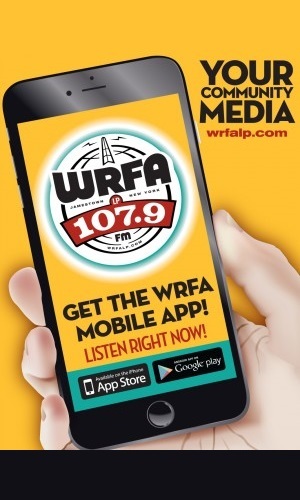 WRFA reached out to the parties involved on Tuesday. A representative for GPatti didn’t want to make an immediate comment. However, the attorney for JBC – Ryan Cummings from Hodgson Russ, sent a statement late Tuesday afternoon. “The lawsuit was only filed after Jamestown Brewing Co. Inc. tried unsuccessfully for months to resolve its issues with GPatti privately. 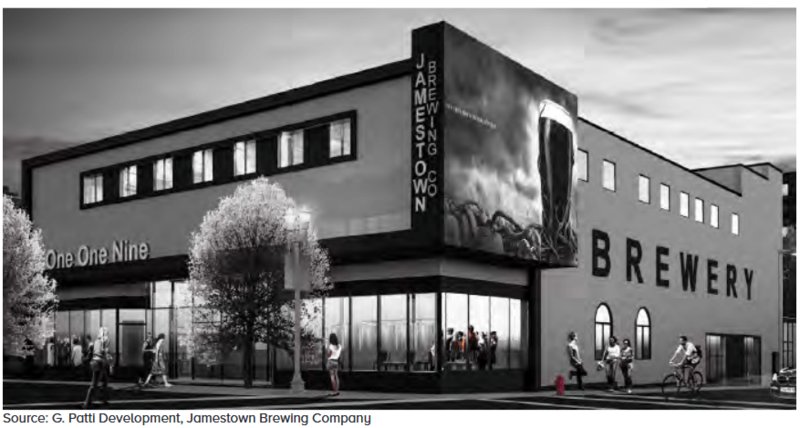 The delays discussed in the complaint have presented challenges to Jamestown Brewing Co. and those challenges continue to mount as just [Monday] one of GPatti’s subcontractors filed a lien against the property, claiming that they have not been paid for work and materials provided to GPatti. Notwithstanding the lawsuit and delays occasioned by GPatti, Jamestown Brewing Co. continues to work diligently to open the restaurant and brewery,” Cummins wrote. Cummings also said that the lawsuit is in its infancy, but a typical commercial case takes approximately 18 months to resolve. WRFA also reached out to city development director Vince DeJoy, who tells WRFA the city is aware of the lawsuit and is hoping for a quick resolution, adding that it remains committed to seeing the business open in the near future. According to the Post-Journal, the total project cost was estimated at $3.84 million. Financing for the project included a $475,000 state Main Street grant that was awarded through the Regional Economic Development Council program in December 2015. The Jamestown Local Development Corporation has a $180,000 loan attached to the project. The IDA also offered tax abatements for the property. Last week DeJoy said JBC was expecting to open in mid-March. Once open the business is expected to employ between 30 and 40 people. The restaurant will seat 280 guests in five different areas. George, don’t pull a Ciminelli and fix this asap. This business will be a downtown anchor for years to come if you do the right thing. A father and son duo that never once worked at or operated any kind of restaurant/bar, and have no brewing experience, plus a massive money sink with all the problems. Do you know what the profit margins are on a restaurant ran by people who actually know what they’re doing? They’re still bad. It’s one of the most ruthless industries to break into. This brewery was a bad idea from the beginning being ran by people with no real experience. It’s going to be years before a positive dollar is made and they’ll be closed or sold off by then. Massive waste of money and time, do they really think a couple of jabronis with no experience can compete with Southern Tier? Lol what?